Shown here are 3 CD-Display. For the favorite CDs of the season, for a full-scale wall decoration or as a graphic frieze in a linear arrangement. DR12 is purely functional. 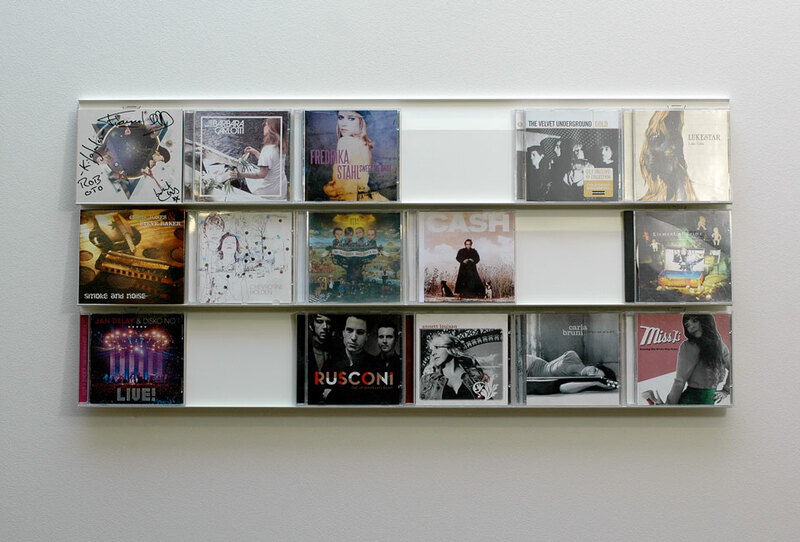 It disappears completely behind the CDs and thus provides the graphical diversity of art in the foreground. Swing-out tabs define the slope to the wall and the distance to the lower display. The bend in the upper third of the display allows you to press against the CD case so that it can slide down. The surface is powder-coated, robust and very durable.